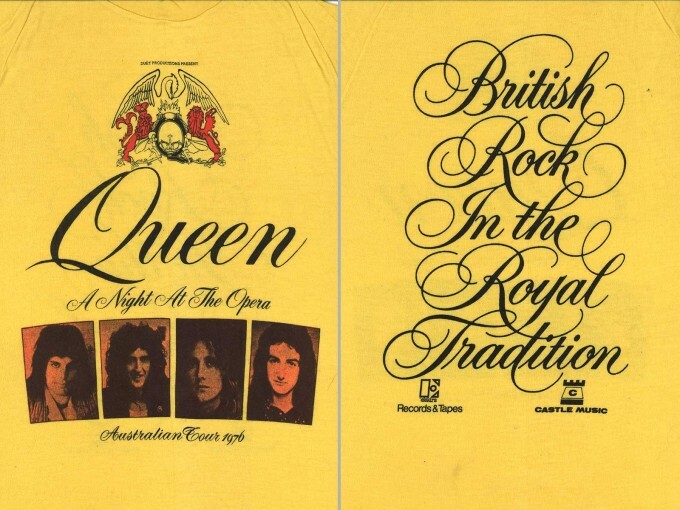 A Night At The Opera was Queen’s first full tour of Australia. Previously they had performed at the 1974 Sunbury Festival where they had received a hostile reception. I’m hoping beyond hope that you may possibly have some video footage of Queen live at Sunbury in 1974? I was lucky enough to be at the concert at festival in april 1976 and i caught one of Fredie’s red roses which I pressed and still have today and i wish I kept my concert ticket. What was the name of the support band for Queen on this tour when they played in Perth? That band also played Bohemian Rhapsody that night. I was at the Sydney show in 2nd row day I have a lot of photos and I had an exabition last year, I am selling the prints framed. At $400 each. Sue would you ever Sell your Rose ? ??? ?